Our 2019 CT Native Plant Sale will take place April 26-28 at Westbrook Outlets, 314 Flat Rock Place, Westbrook. The advance order deadline has passed and our webstore is now closed, but we will have extras of most plants at our sale. For more information about our plant selections you can download our brochure below, and also see plant photos and detailed descriptions. Questions? Please contact us at ctrivercoastal@conservect.org! 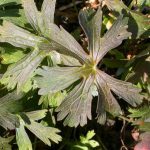 Scroll down for plant descriptions and photos! Our 2019 plant sale will be held April 26-28 at at Westbrook Outlets, 314 Flat Rock Place in Westbrook. The 2019 brochure and order form are now available on our website (download PDF brochure). 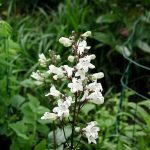 Please be aware that we have an expanded selection of perennial plants in our webstore, so be sure to check our offerings in the store! Photographs and more detailed descriptions of our 2019 plant selections can be found below. 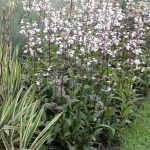 Special first time offerings in 2019 include flowering perennial landscape plugs, which can be purchased in our webstore. These are a low cost and easy way to plant a landscape. We will also sell the popular Organic Compost from Collins Powder Hill Farm in Enfield. 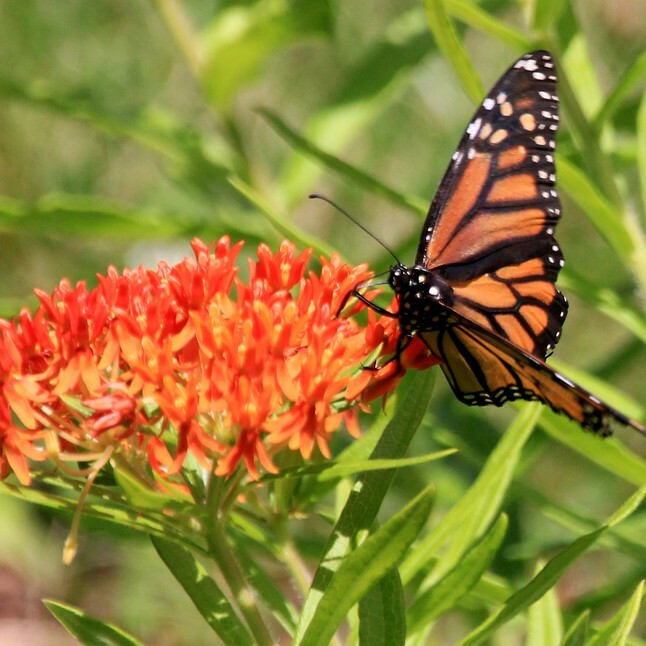 As in the past, our plant selections will feature a variety of pollinator plants, edible landscaping plants, wet-loving plants for rain gardens, and plants suitable for waterside buffer gardens. 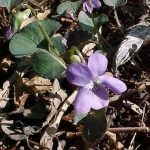 More information about our sale offerings and other CT native plants, along with information about edible landscaping and other resources, can be found at the websites listed below. Easy to grow! 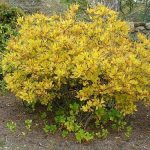 Hardy, deciduous shrub reaching 5 to 6 feet tall or more. Growth habit is upright when young, and with age, plants spread and branches arch over at tips. Foliage is dark green turning yellow to red-purple in the fall. 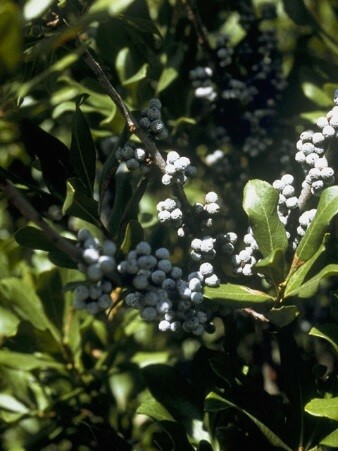 Flat-topped clusters of white flowers bloom in late spring producing blue-black fruits enjoyed by birds. Prefers full to part sun. Tolerates a range of soil types from dry to fairly wet. Attracts songbirds, gamebirds, butterflies and native bees. Larval host to Spring Azure butterflies. Good for mass plantings, borders and naturalizing. A highly productive heirloom variety! 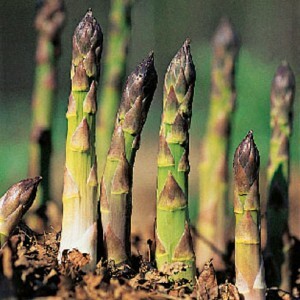 ‘Mary Washington’ is one of the most popular of all heirloom asparagus varieties and an excellent choice for the garden. This disease resistant, open pollinated variety was developed in California and introduced by the United States Department of Agriculture in 1949. The delicious spears are tender, thick, heavy and straight and are of a rich dark green color with a purple tinge. Produces uniform spears and a heavy yield. 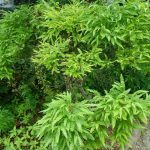 It is fast growing, extremely hardy and rust proof, and the graceful, feathery green foliage remains attractive long after harvest. Once established, an asparagus bed can produce for 15 years or more. 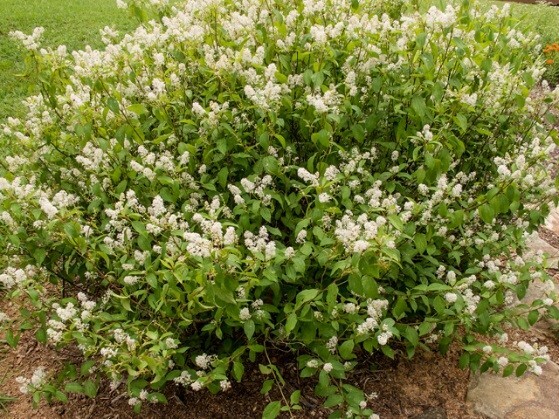 Hardy, vigorous semi-evergreen shrub growing 5’-10’ tall depending on site conditions. On the coast, plants tend to be low-growing. Foliage is a glossy deep green slowly turning burgundy to bronze or tan for fall and winter. 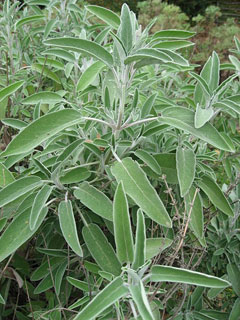 Leaves and stems are highly aromatic when crushed. 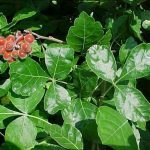 Plants are either male or female with females producing gray-green waxy berries that are the source of an essential oil used in candles and soaps. Fixes nitrogen in soil. Tolerates drought, salt spray, and dry, sandy soil. Deer resistant. 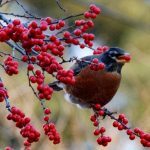 Provides excellent cover and a fall/winter food source for songbirds. Good for mass plantings, hedges, borders, roadsides and seaside landscapes. Great for tough places as it is adaptable to severe conditions and will colonize rocky, barren areas with underground stems. 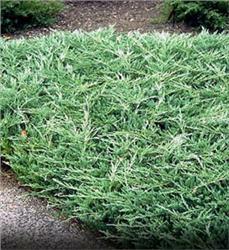 Excellent slow-growing, low maintenance, evergreen ground cover that typically grows 6-12” tall and spreads 2-6’ wide. 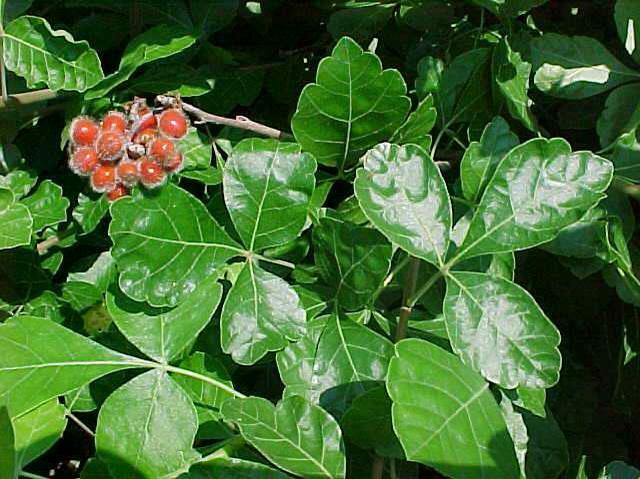 Reddish-brown branches bear dense glossy foliage that turns burgundy-bronze in the fall. 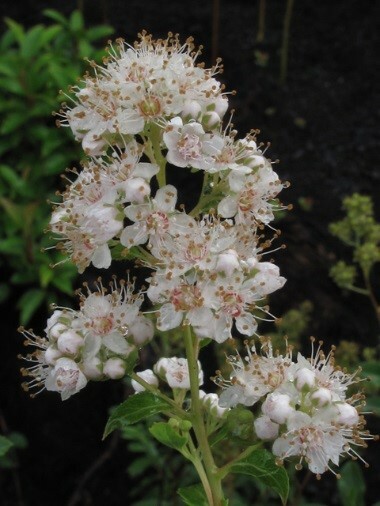 Clusters of drooping white-pink bell-shaped flowers bloom in late spring yielding abundant red berry-like fruits in the fall. Attracts butterflies, native bees, songbirds, and small mammals. Larval host for Hoary and Brown Elfin butterflies. Prefers full to part sun, and grows best in well-drained, acidic soil without added fertilizer. Tolerates infertile soil, erosion, drought, salt and wind. 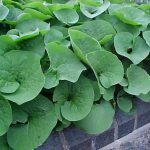 Great for sandy slopes and banks or along rock walls where it can cascade over the edges. See USDA fact sheet for more info. 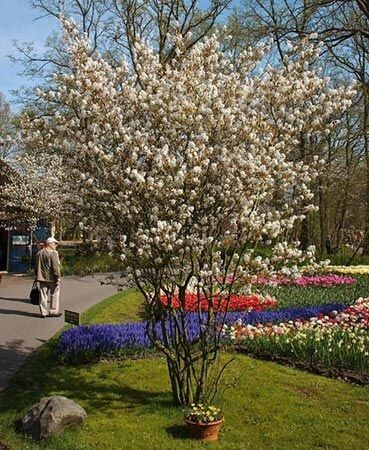 Excellent shrub for coastal areas, with prolific flowers and showy plum-like fruit! 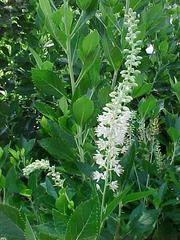 Fast-growing upright shrub with a mature size of 6-7’ tall and wide. 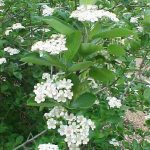 Prolific clusters of white cherry-like flowers bloom in early spring before leaves appear, providing an abundant nectar source for an array of insects. 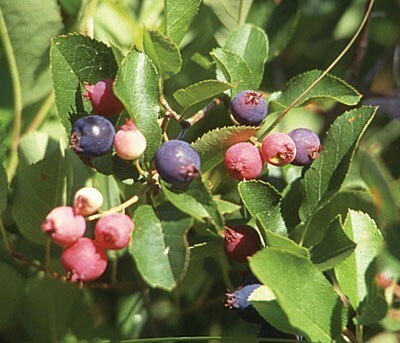 In late summer, green plums mature to purple, providing an abundant food source for wildlife and people alike. Best grown in sandy, infertile soil. Prefers full sun. Tolerates drought, salt and wind. Makes a good erosion control hedge. Attracts songbirds, mammals and native bees. Plums make delicious jams and jellies! One of the more winter hardy and productive thornless varieties! 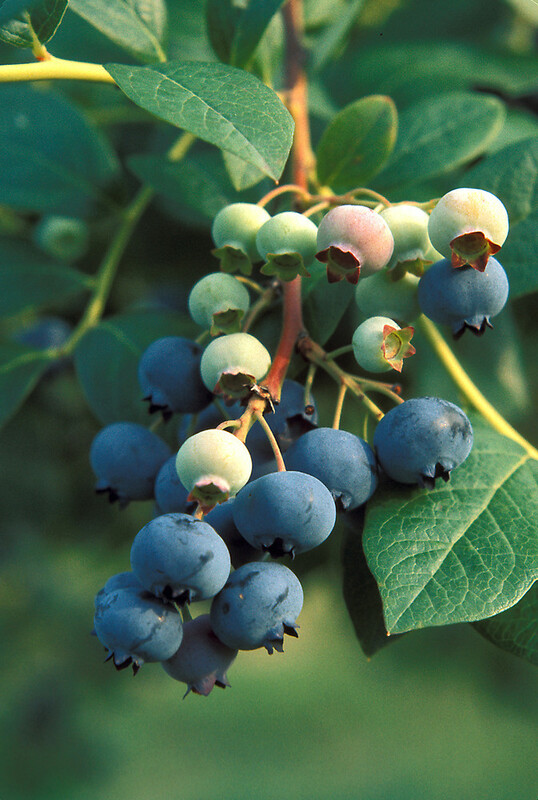 Produces large, high-quality fruit with good flavor, and plants are vigorous and disease resistant. 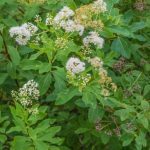 Clusters of white, 5-petaled, rose-like flowers in spring give way to firm, glossy blackberries of excellent eating quality, ripening early to mid-August. Semi-erect canes can be trellised or pruned in summer to an easy picking height of 42″. Good for fresh eating, jams, jellies, and pies! Attracts birds and butterflies. 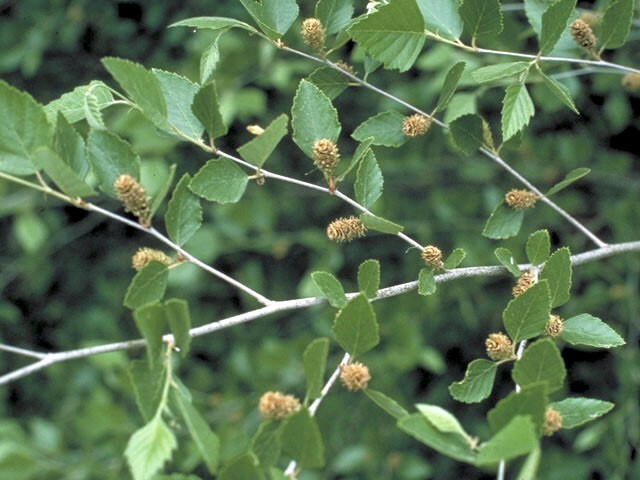 Small, mounded shrub growing 3-6’ tall and wide with slender, multiple stems and reddish-brown bark. 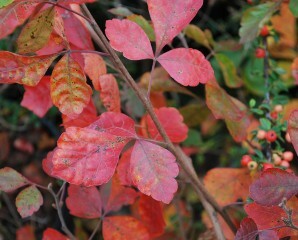 Glossy, dark green foliage turns crimson red in the fall. 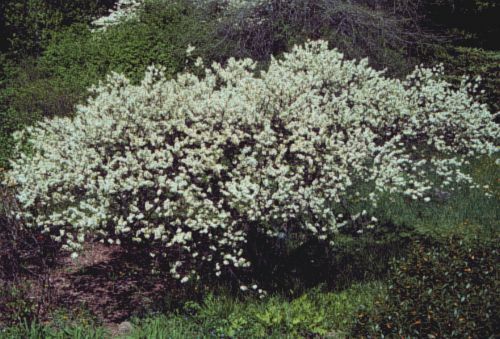 Showy clusters of fragrant white flowers bloom in May, followed by black-purple berries that persist into winter, providing a food source for songbirds. Prefers full to part sun and moist soils. Tolerates infertile soil and flooding. Deer resistant. Great for mass plantings, borders and naturalistic plantings, and useful for bank stabilization and erosion control. Fruits can be used to make tasty jams and jellies. 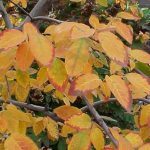 Upright, spreading, multi-stemmed shrub with four season interest: profuse white or pink flowers in spring; savory blue fruit in summer; long-lasting yellow-red-burgundy fall foliage; and the twisted, peeling stems and red or yellow-green bark in winter. Blooms spring through summer. Edible berries ripen July-August. See USDA fact sheet and USDA plant guide for more info. 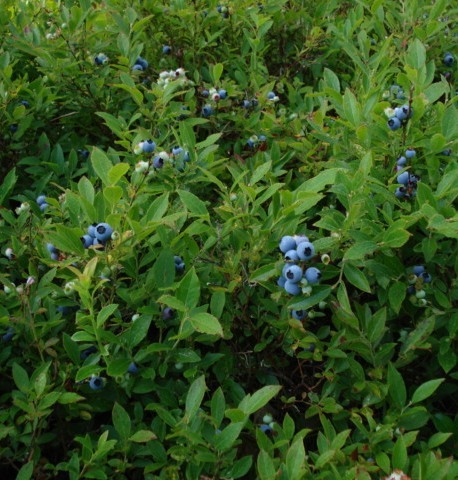 Showy, profuse white flowers produce small very flavorful blue berries mid-summer, with the distinctive “wild” blueberry flavor. Glossy, deep green leaves turn scarlet burgundy in fall. Excellent selection for borders or naturalizing. Spreads with underground stems and a mature planting can form a dense ground cover. Attracts wildlife! Not a true honeysuckle but has showy long-lasting honeysuckle-like flowers. 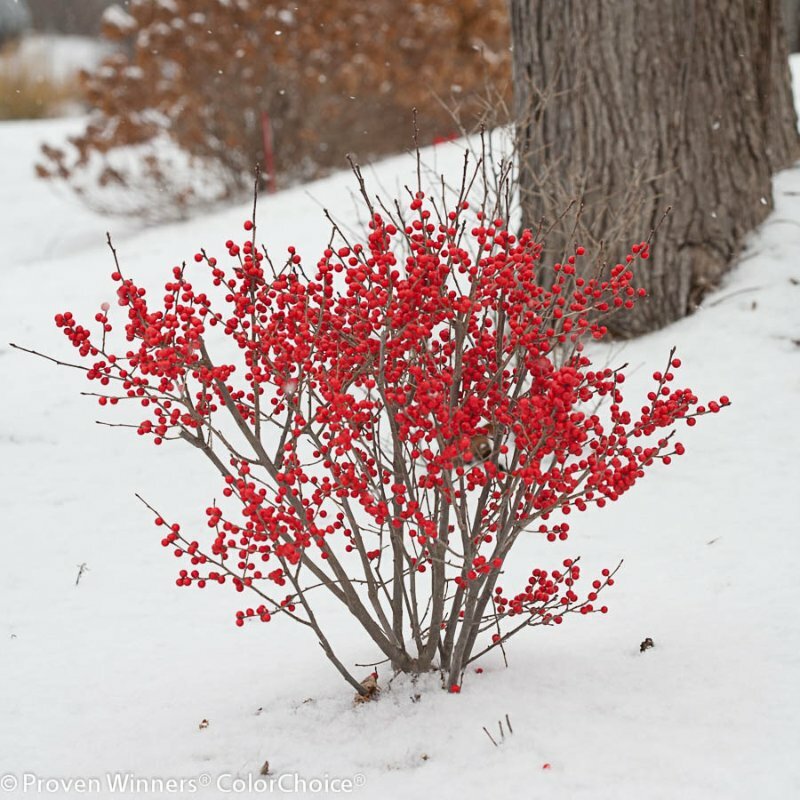 A low-growing shrub reaching up to 3’ tall with arching branches that spread to 5’ wide. Foliage turns bronze-colored in the fall. Small yellow flowers bloom in late spring/early summer producing dry fruit capsules that attract songbirds. Prefers full to part sun and damp soil, but also tolerates dry, sandy soil. Good for slopes and hillsides. Deer resistant. Special value to bumble bees. 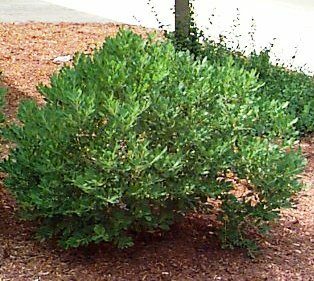 Compact evergreen ground cover with flat, trailing branches. Soft textured blue-green foliage turns purplish in winter. Excellent for mass planting as turf substitute; rock gardens and overhanging rock ledges; and erosion control on light to moderate slopes. Heat and drought tolerant; resistant to salt damage. 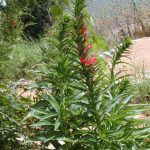 Grows well in almost any well-drained soil. Excellent fast-growing compact ground cover! 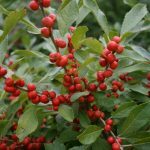 Glossy green foliage, stunning red-yellow-orange fall color, showy red fruit and seed heads. 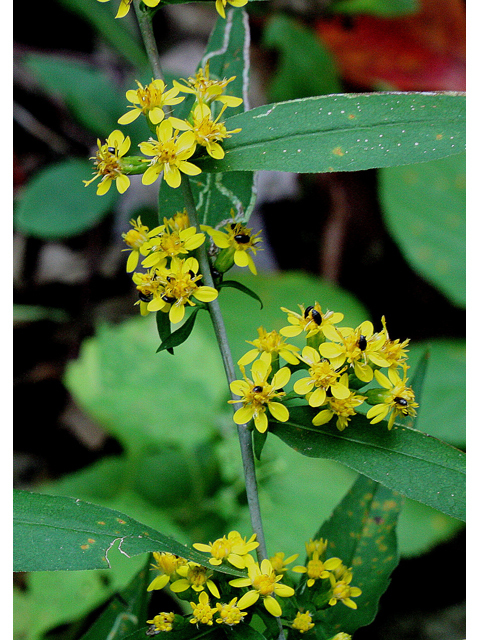 Yellow spring flowers provide nectar for butterflies, and berries are loved by birds. Grows to 1-2 feet tall, and 5-8 feet wide. Tolerates poor dry soils, drought. 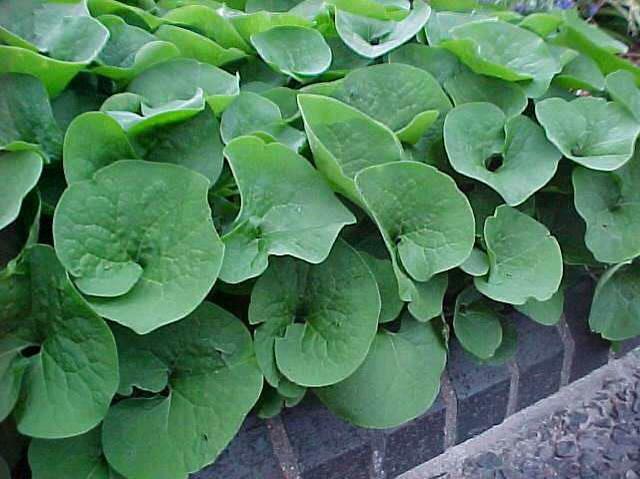 Great for stabilizing banks or smothering weeds, even in poor soil. 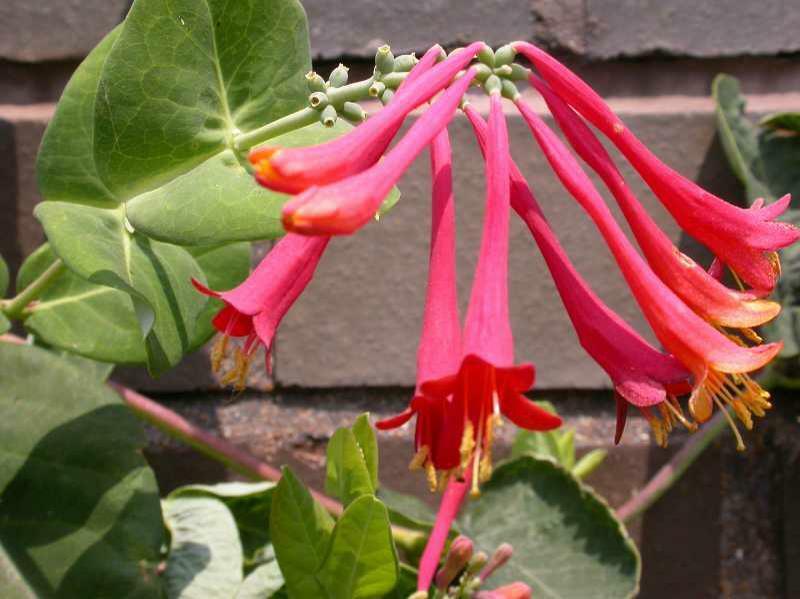 Also known as Coral Honeysuckle, this is one of the showiest of the vining honeysuckles, with blue-green leaves, multi-colored tubular flowers, and glossy red berries. This vigorous, deciduous, twining vine typically grows 10-15′. Large, non-fragrant, narrow, trumpet-shaped flowers are scarlet to orangish red on the outside and yellowish inside. 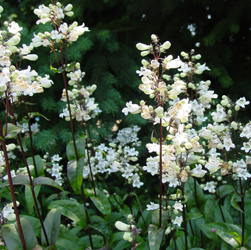 Flowers appear in late spring at stem ends in whorled clusters, and attract hummingbirds, butterflies and bees. 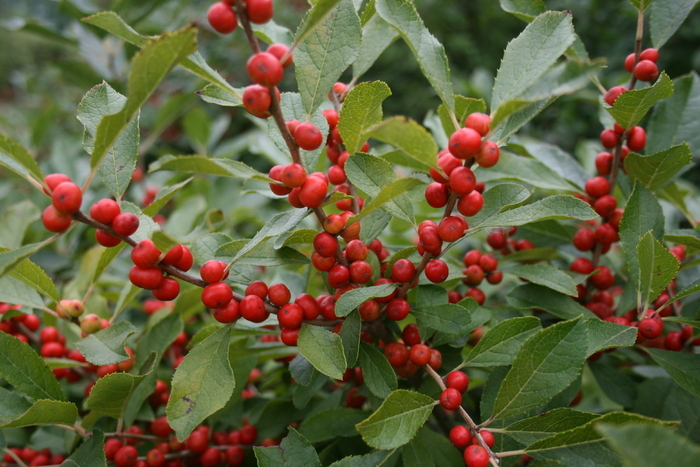 Small ornamental red berries form in late summer-early fall, and are attractive to birds. Excellent vine for trellises, arbors and fences, and can also be grown unsupported as a ground cover. 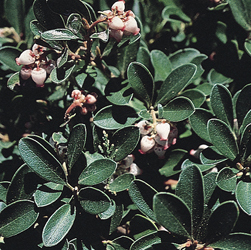 Excellent evergreen with broad dense upright habit, attractive lustrous dark green foliage, and jet black berries. Ideal for low hedge or grouping, for a small foundation space, or as a specimen. Very hardy and easy to grow! Tolerates a variety of landscape conditions, including sandy soils or places prone to exposure to road salt or seaside conditions, heat, drought, sun, shade and transplanting. Also grows exceptionally well in urban areas. 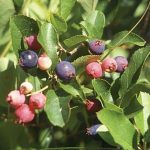 Provides year round cover for birds, and berries provide an excellent food source. Also provides nectar for small pollinators. 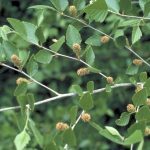 Hardy and adaptable deciduous shrub growing to 4’ tall and wide. 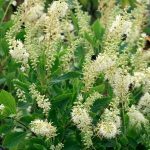 Long-blooming, showy pyramidal clusters of small white to pink flowers bloom in mid-summer, and foliage turns golden yellow in fall. Prefers full to part sun and moist soils. Tolerates drought. Deer resistant. Attracts songbirds, butterflies and native bees. Good for mass plantings, borders, hedges and naturalizing. The CT State Flower! Cultivar is very similar to the species. 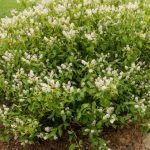 Slow-growing, broadleaf evergreen shrub with with dark green glossy leaves and striking showy clustered flowers. Mature size is 5’-12’ tall and wide. Pink flower buds open to cupped white to pale pink flowers with purple dot markings in late spring. Prefers full to part sun and moist, cool, well-drained soil. Avoid windswept sites. Good for borders, mass plantings, wooded edges and hillsides. Attracts butterflies, hummingbirds, and birds. The CT State Flower in dwarf form! 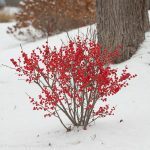 Compact evergreen shrub reaching 5’-8’ tall, with dark green glossy leaves, excellent branching, reddish stems and showy flower clusters, May to June. Clustered flower buds are strong pink/red and open to soft pink in late spring. Color intensity varies from year to year and in different exposures. Prefers full to part sun and moist, well-drained soil. Avoid windswept sites. Good for mass plantings, borders and wooded edge, or as a specimen plant. Attracts butterflies and other pollinators. 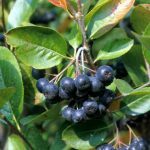 Easy-to-grow, compact, deciduous shrub with bright green leaves, billows of fragrant flowers in spring, clusters of small black fruit in summer, and yellow twigs that provide showy winter contrast. Reaches up to 4’ tall and wide. Prefers full sun and well-drained soil. Deer resistant. Tolerates drought. Attracts songbirds, butterflies, hummingbrids, and native bees. Larval host to Spring Azure, Summer Azure, and Mottled Duskywing butterflies. Good for mass plantings, borders and wooded edges. Leaves can be used for tea; in fact they were used as a tea substitute during the Revolutionary War. 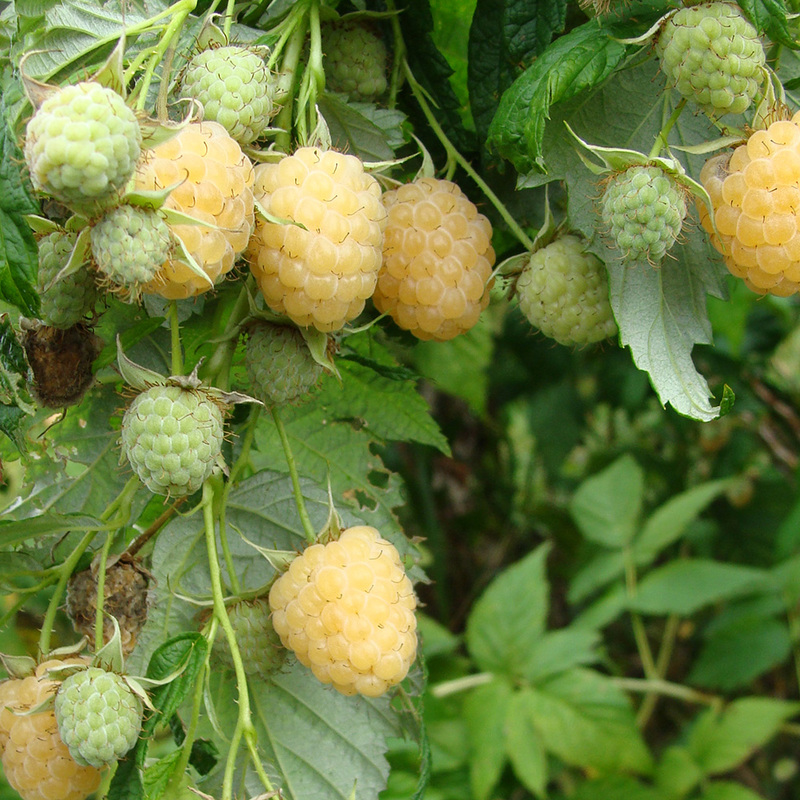 High-yielding fall bearing raspberry (aka everbearing) with large, pale yellow, very sweet fruits. Excellent size, appearance, and flavor makes this a great choice for raspberry growers. Berries hold their shape and are non crumbling. Good for fresh eating, jams and jellies, juices, desserts and baking. Also freeze well. Fall bearing canes produce two crops; harvest in late summer and fall. Easy to grow, and winter hardy. Bee friendly and deer resistant! 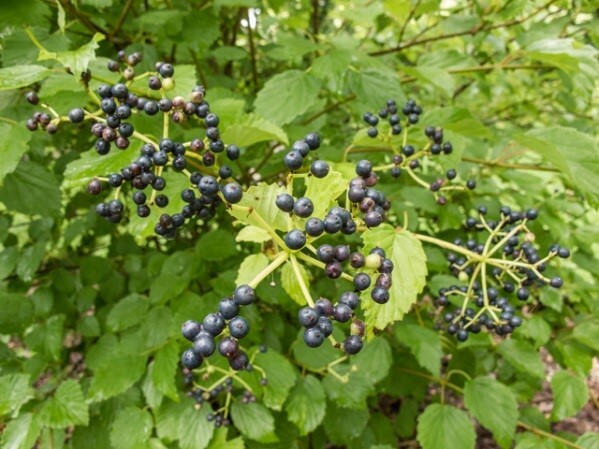 Beautiful multi-stemmed deciduous shrub with four season interest and great wildlife value! 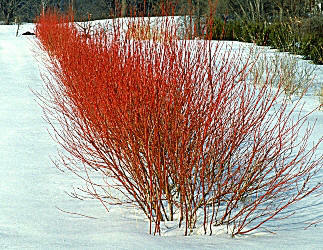 Best known for its showy bright cherry red stems in winter, Red Twig dogwood also features textured green, oval leaves in spring that provide a striking contrast to the colorful red bark; frothy creamy white clusters of tiny flowers mid to late spring; white to light blue berries in summer; and great red-purple fall color. Provides food and shelter for birds. Also provides dense cover for a variety of wildife. Attracts butterflies and is larval host of the Spring Azure, Celastrina ladon. Likes moisture and is ideal for wetter parts of the garden, but is also very adaptable and tolerates poor soils. Great for grouping or massing, for mixed or shrub borders, screens, natural landscapes, and bird and winter gardens. Very hardy! 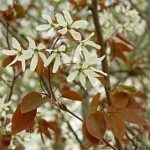 Pure white flowers in May and bronzy-red fall foliage of this serviceberry genus light up the landscape! 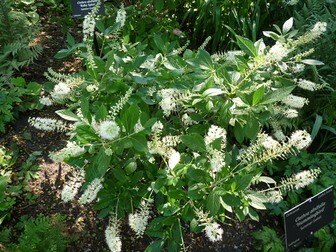 Early blooming, deciduous, multi-stemmed shrub growing 6’-20’ tall and up to 8’ wide. 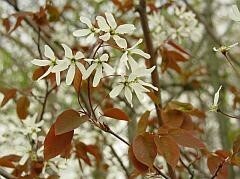 Beautiful delicately scented white flowers bloom in March and provide nectar for early bees and butterflies. Mid-summer fruits ripen to brilliant violet pink, aging to deep blue purple when fully ripe. In fall, dark green foliage turns orange, gold, and rusty red, providing a brilliant colorful show. 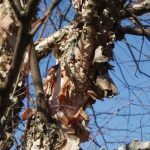 Even in winter, it remains attractive with its smooth silver bark. 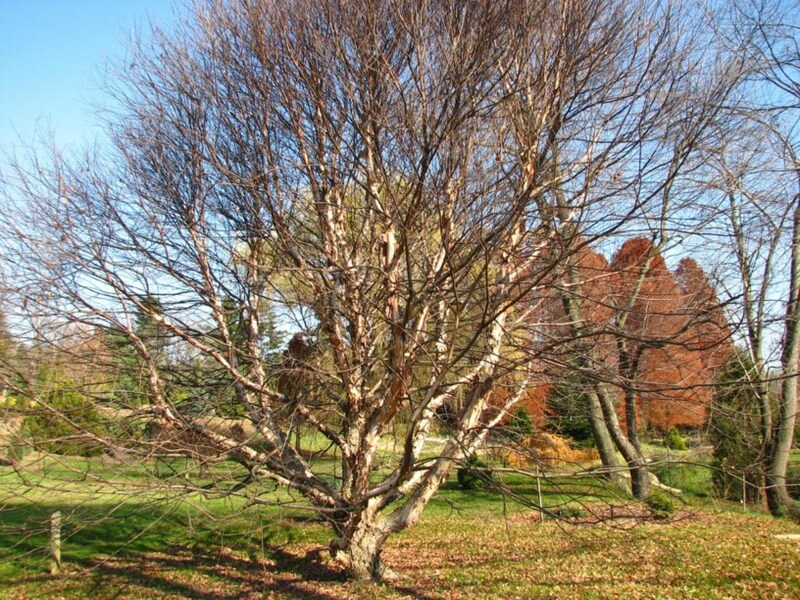 Shrubs can be pruned to form small trees with exposed bark. Prefers full to part sun and moist soils. Deer resistant. Attracts songbirds, mammals, butterflies and native bees. Apple-like fruits are edible! A showy winter display! 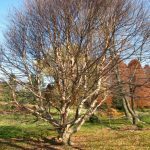 Fast-growing, compact, deciduous tree reaching to 12’ tall with dense branches to the ground. 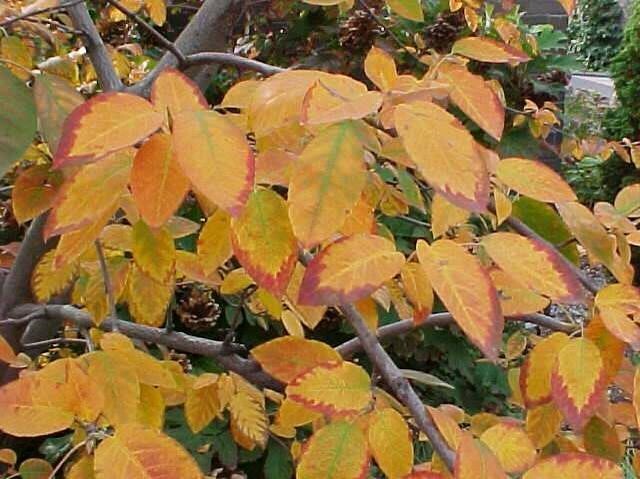 Lustrous dark green leaves turn yellow in the fall. 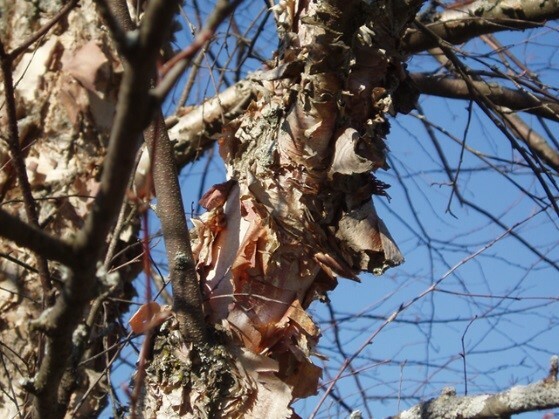 Satiny cream-colored bark exfoliates at maturity to reveal a cinnamon-brown layer. Prefers full to part sun and moist soils, yet adaptable to drier sites. Attracts seed-eating birds and small mammals. Great for erosion control. Midseason variety recommended for home gardeners due to overall quality and consistent performance. 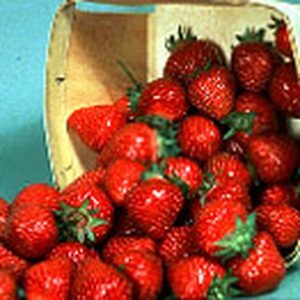 Produces large firm berries with superb quality and flavor, also excellent for freezing. Performs well over a wide range of growing conditions. Hardy and vigorous. 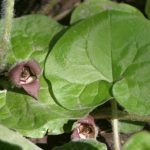 A great edible ground cover! Compact, slowly spreading cultivar with a more mounded shape and more prolific flowers than the species. 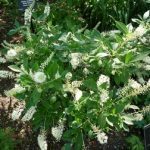 In mid to late summer, abundant, long, very fragrant white bottlebrush-like flower spikes on upright branches bloom for 4-6 weeks, which attract butterflies, bees and hummingbirds. 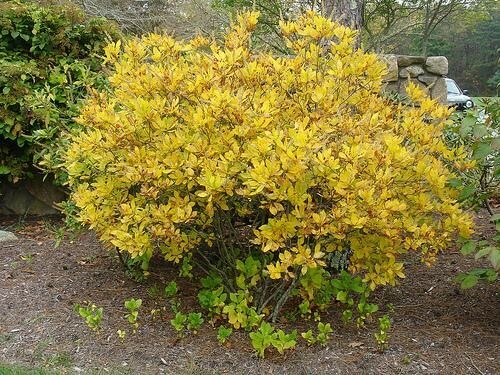 Serrated, glossy, dark green leaves turn a striking yellow in autumn. Flower spikes give way to spikes of dark brown seed capsules, which persist into winter and provide continuing interest. Somewhat unique among the summer-flowering shrubs due to its ability to bloom well in shady locations. Great massed in naturalized landscapes, and an excellent addition to a border or woodland edge. Compact, rounded habit makes it ideal for small gardens or around foundations. 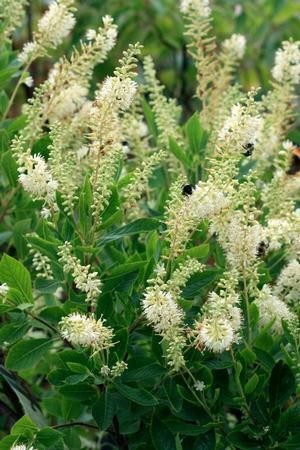 Also a good shrub for wet areas, such as low spots, stream banks or pond/water garden edges. Best planted in part sun but tolerates all light conditions. Prefers well-drained organic soil but adapts to a variety of soils. Salt tolerant. See USDA fact sheet for more info. 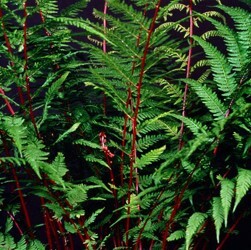 Loved for its glossy fragrant fern-like foliage, short stature and ability to colonize tough sites! 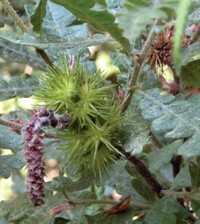 Ornamental interest includes male catkins in spring that give way to spikey nutlets. 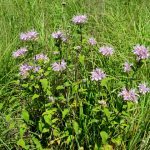 This interesting and vigorous plant is great for native plant gardens or naturalized areas where it can be left alone to spread. Low growing with a dense, mounded habit when grown in full sun. 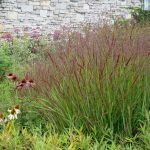 A good choice for planting along stream or pond banks, for rain gardens, for areas with poor soil, and for stabilizing slopes or embankments. Drought tolerant. Attracts birds and butterflies, and is larval host of the Grey Hairstreak butterfly (Strymon melinus). Extremely hardy deciduous male holly with dense, lustrous, rich deep green foliage on an upright, rounded form. 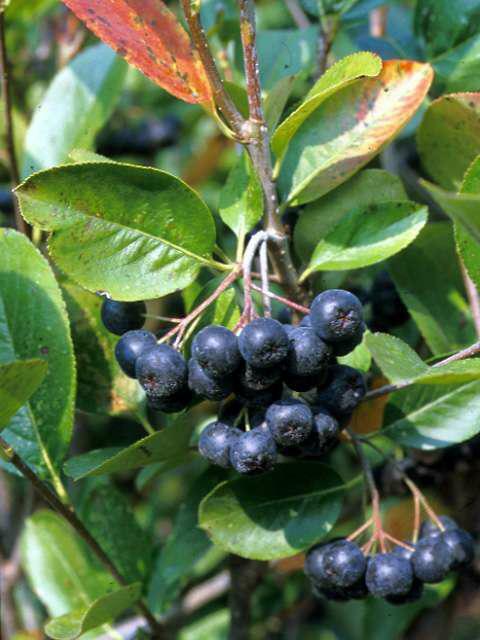 Matures to 6 to 8 feet tall, and spreads to form multi-stemmed thickets.Pollinates females (see above), which produce bright red, persistent berries in winter. Only one male is needed to pollinate many female bushes planted nearby. Good for naturalizing. 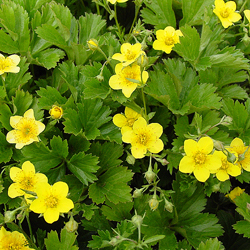 Carefree, evergreen ground cover with strawberry-like glossy dark green foliage and yellow buttercup-like flowers. Foliage looks great throughout the growing season. Grows to 3-6 inches tall, and 6-12 inches wide. Perfect for front of the border and for rock gardens. Attracts butterflies. Drought tolerant. Profuse bloomers of small clustered flowers and iris-like, carpet-forming foliage. 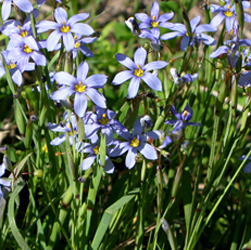 This grass-like plant grows up to 8” with blue flowers. Blooms heavily in spring and recurrent through summer. 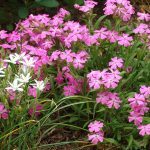 Easily worked into the garden border, and a good choice for rock gardens, placed around flagstone paths, or tucked in stone walls or crevices. Prefers sun to part sum, and well-drained soils. 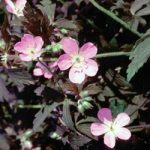 Excellent easy to grow ground cover for shady sites. 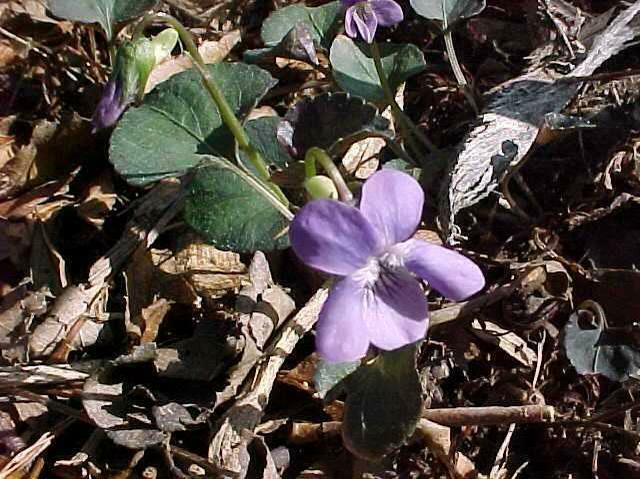 Dainty purple flowers bloom May to July, and showy purplish-green foliage turns to a unique bronze-green in warmer weather. Grows to 2-6 inches tall, and 6-8 inches wide. Great grown in groups or small spaces. 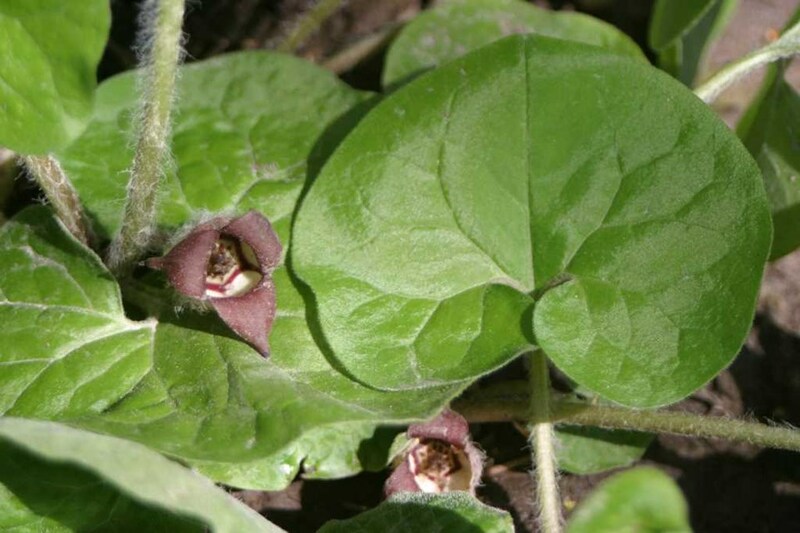 Mass as a ground cover in small areas; use as a filler between stepping stones or in rock gardens; or allow it to spread in native plant gardens or naturalized areas. Attracts butterflies, birds and small mammals. 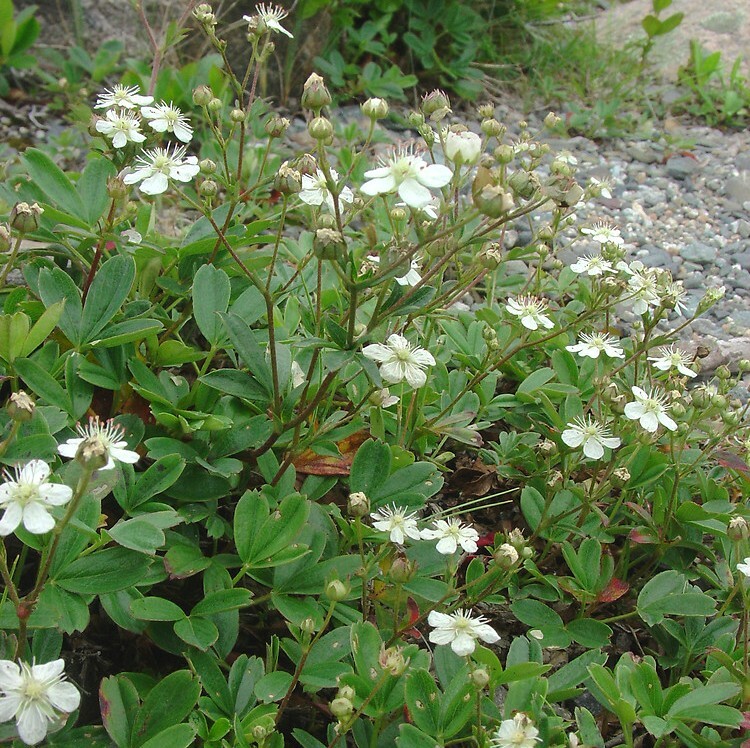 Compact evergreen ground cover with clusters of dainty white flowers late spring to fall. 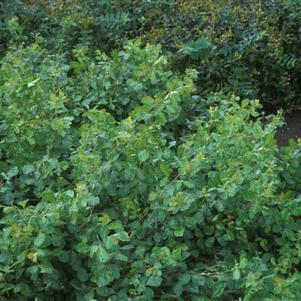 Mounding habit with glossy green leaves that turn red-purple in fall. Great for naturalizing, massing, in rock gardens, for edging borders, for dry sites and erosion control. Attracts butterflies and bees. Drought tolerant. 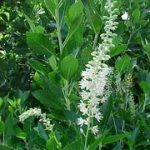 Grows 3-6″ tall with a spread of 12-18″. A great naturalizer and shade-loving ground cover! 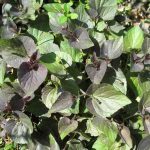 Bell-shaped purple brown flowers bloom singly on short stems in spring, hiding beneath the bold, velvety, dark green heart shaped leaves. Grows 6-12 inches tall and 12-18 inches wide. 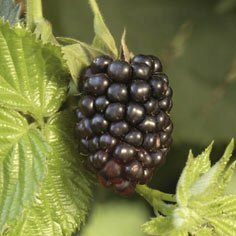 Prefers part sun to shade, and average to moist soil. 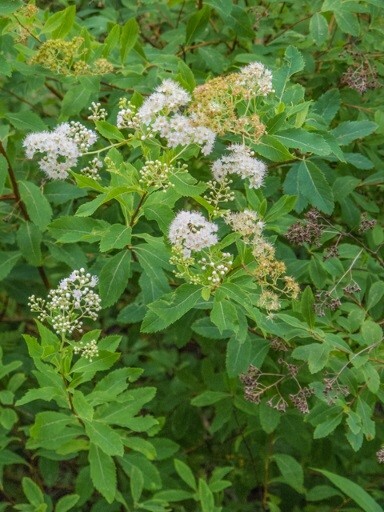 A good choice for woodland gardens, native plant gardens or naturalized areas. Also may be used for edging. Attracts butterflies and other pollinators, and provides wildlife cover. Although not related to culinary ginger, roots have a ginger-like scent. Fresh or dried roots were used by early Americans as a ginger substitute, but the plant is not normally used today for culinary purposes. 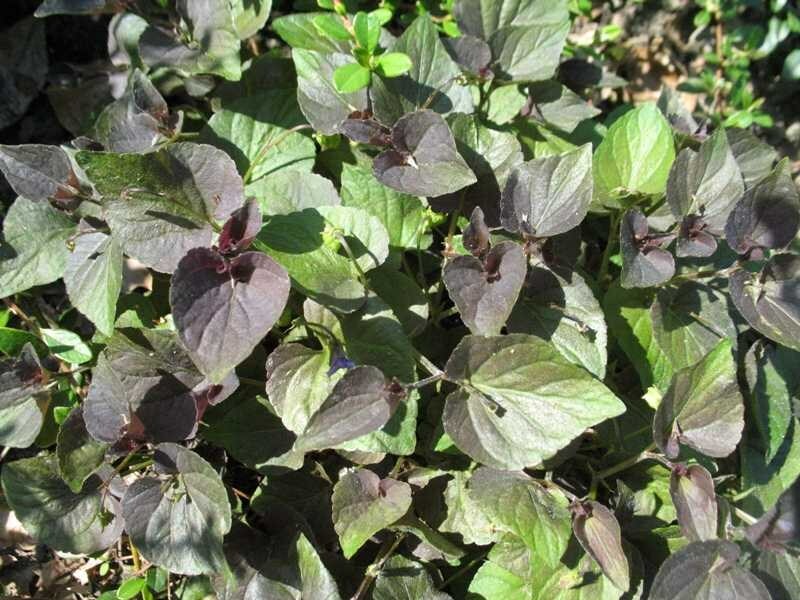 An easy-to-grow ground cover that does well in bright shade or full sun. 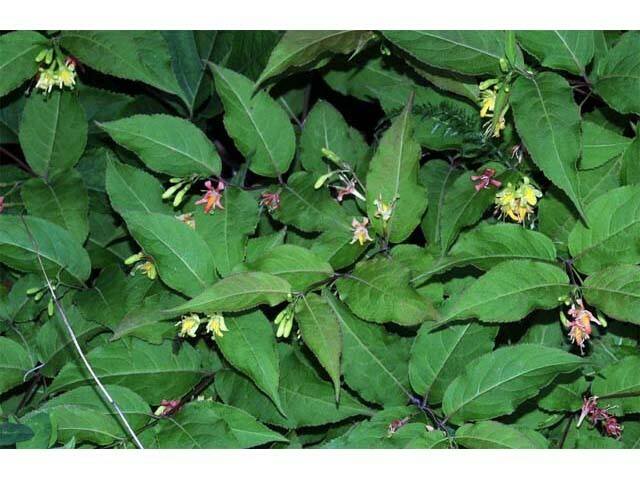 Narrow leaves on trailing stems form a spreading mound 6-8 inches tall and 10-15 inches wide. 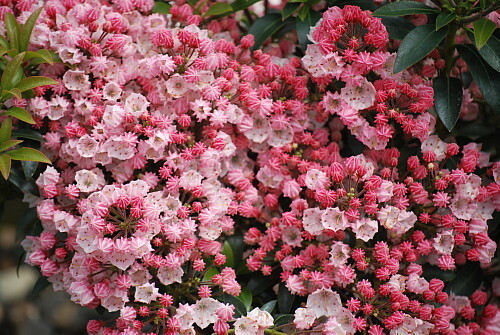 Huge clusters of deep-pink, long-lived flowers bloom from late spring into summer. 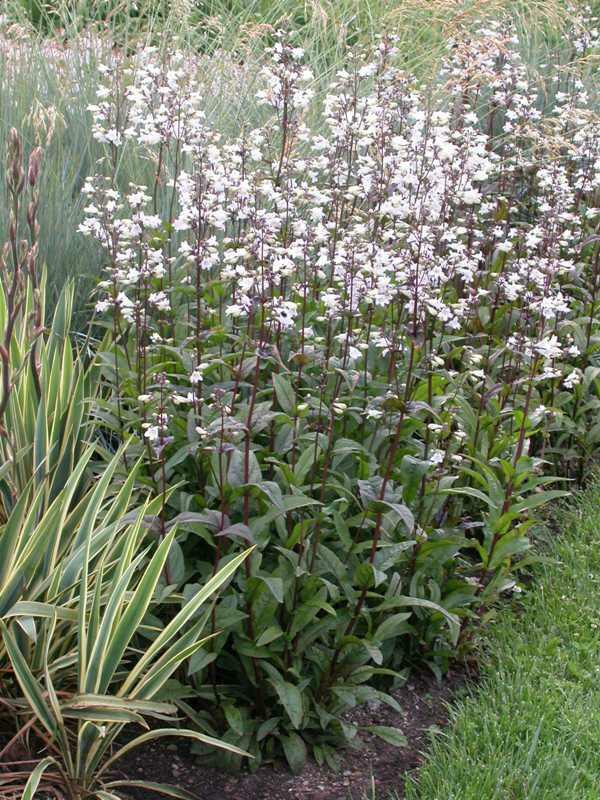 Good for massing and naturalizing, but also a good choice for a container or patio garden. Grows in average, moist and dry soil, and tolerates drought conditions. Attracts butterflies. 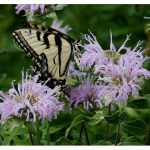 Also known as Wild Bergamot, this showy perennial has aromatic leaves and tufts of lavender tubular flowers that bloom June to August atop open-branched stems. Grows to 2-4 feet tall, and 12-18 inches wide. A must for avid butterfly and hummingbird gardeners. Prefers sun to part shade, and average to moist soils. Tolerates poor soils and drought. Deer resistant. Great as a stand alone or planted in groups remembering to leave plenty of space between plants for good air circulation to reduce the chance of powdery mildew. 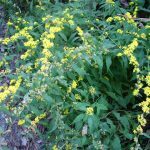 A good choice for herb gardens, wild gardens, meadows, rain gardens and naturalizing. Makes a great cut flower. 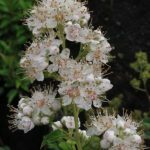 Flowers are also edible and mint-smelling leaves make a great tea. Of special value to bumble bees according to the Pollinator Program at The Xerces Society for Invertebrate Conservation. An easy to grow perennial that shows off in both shady and sunny areas. 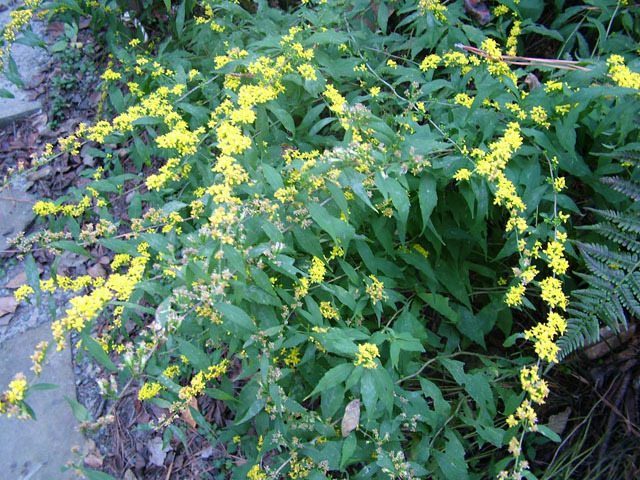 Clusters of golden yellow star-like flowers bloom in fall on green-purple arching stems. 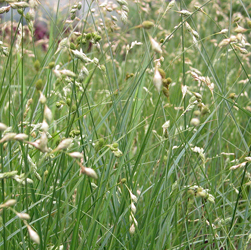 Plants form attractive open clumps and don’t spread aggressively. Grows to 2-3 feet tall and wide. Prefers sun to part shade, and average, dry to medium, well-drained soils. Tolerates poor, dry soils and drought. Attracts bees, butterflies, hummingbirds. Good in meadows, butterfly gardens, borders and for erosion control. Plant in large numbers for a great fall fireworks show! Makes a great cut flower. Excellent groundcover for dry shaded areas. 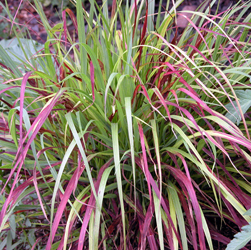 Deeply cut dark red-brown foliage provides great contrast in the garden. Pale dusty pink flowers bloom in May to June and provide early season nectar for native bees and butterflies. Of special value to bumble bees according to the Pollinator Program at The Xerces Society for Invertebrate Conservation. Plants provide cover for small wildlife. Grows 12-16 inches tall and 18-24 inches wide. 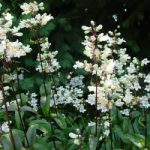 Good in partly shaded areas of borders and woodland gardens. 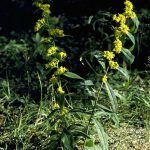 Mass plants to create ground cover. 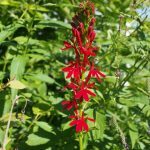 This spectacular plant is real show stopper, with its spikes of profuse, long-blooming brilliant red tubular flowers set against green and purple-bronze foliage. Each individual spike of flowers opens from bottom to top and stays in bloom for several weeks. A favorite of hummingbirds, and also attracts butterflies, songbirds and other pollinators. Grows 2-3 feet tall and 8-18 inches wide. 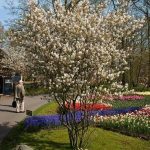 Prefers sun to part shade, and is perfect for damp or poorly drained soil. Does well along stream banks, on water’s edge, in meadow margins, and in garden soils less prone to drought stress. Great for massing. Makes an excellent cut flower. 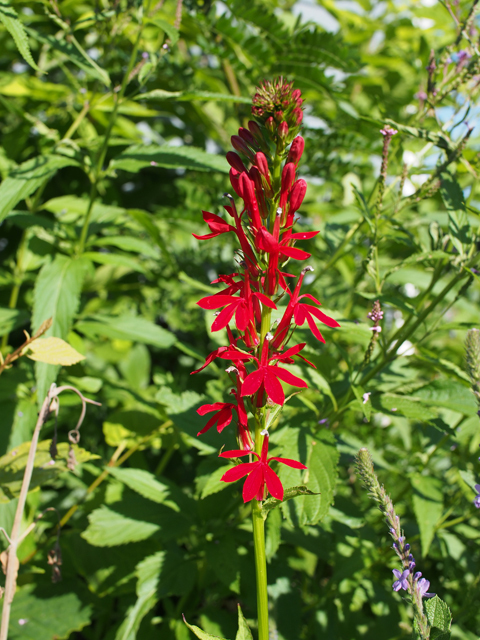 A much loved and long-blooming perennial with deep bronze-red leaves and 2-3’ spikes with profuse small white bell-shaped flowers attached to dark rose-wine stems in June. 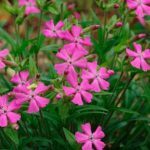 Grows to 2-2.5 feet tall, and 1.5-2 feet wide. Prefers sun to part shade, and average to dry soils. Drought tolerant. Flowers attract hummingbirds, butterflies and other pollinators for nectar. 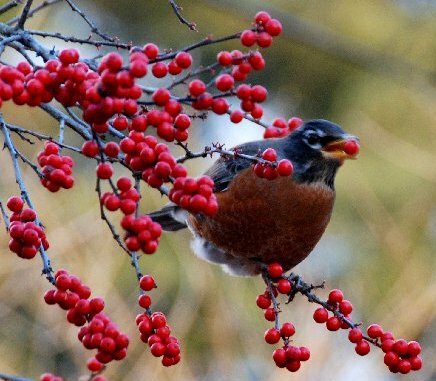 Songbirds such as cardinals and goldfinch eat ripe seed from the flower stems in fall and winter. This taller variety can stand alone or is attractive grouped together. Great as a cut flower! A favorite for herb gardens or in the perennial border! Low-growing shrub-like perennial. 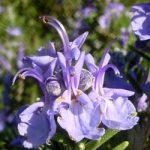 Features aromatic silvery-gray vegetation topped in summer with stems of showy, fragrant, white to purple-violet hued flowers. 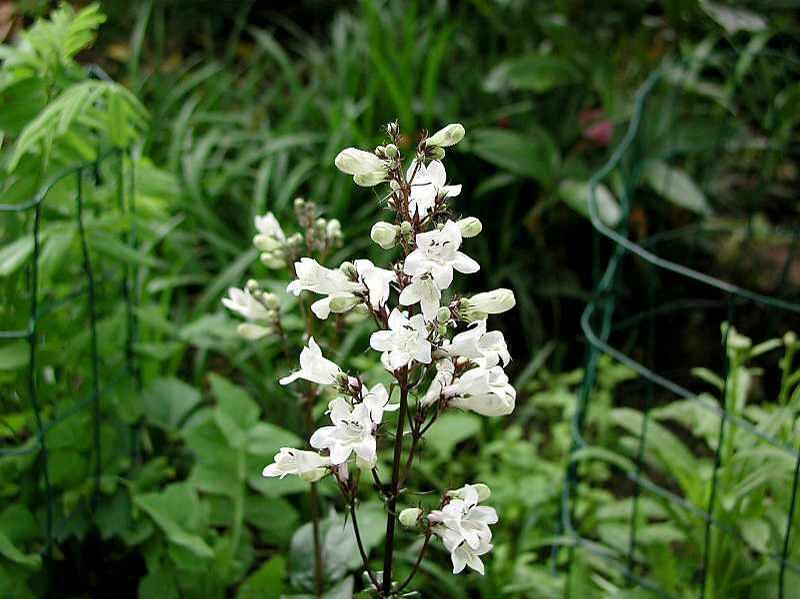 A favorite for herb gardens or in the perennial border. Attracts butterflies and other pollinators. Drought tolerant when established. Excellent in fresh or dried arrangements. Use in cooking, sachets, potpourri and baths. One of the most popular herbs for the garden! 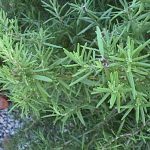 Shrub-like herb with intensely fragrant evergreen needle-like leaves used fresh or dried for cooking, and for aromatic oil. Individual branches of most rosemaries are held upright at various heights, creating a tight but interestingly irregular habit. Long-lasting, fragrant light blue flowers attract butterflies, bees and hummingbirds. 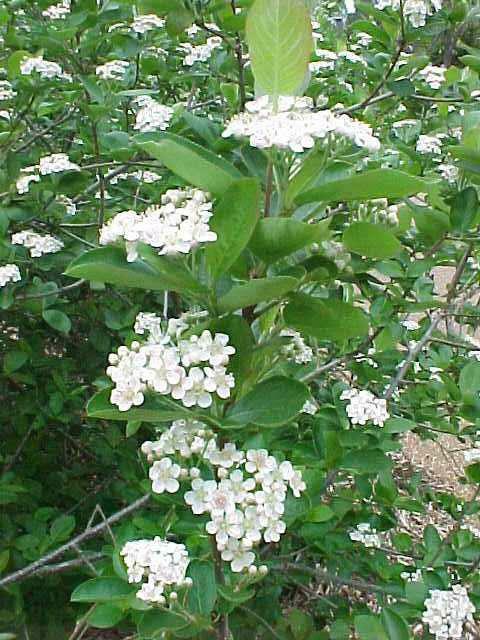 Fragrant branches can be used for dried arrangements or in cut flower bouquets. Leaves and flowers can also be used in sachets. Drought tolerant. This is a tender perennial that should be grown in containers or dug up and potted, and brought inside for winter. Container plants are attractive additions to patios, decks and other sunny areas around the home. 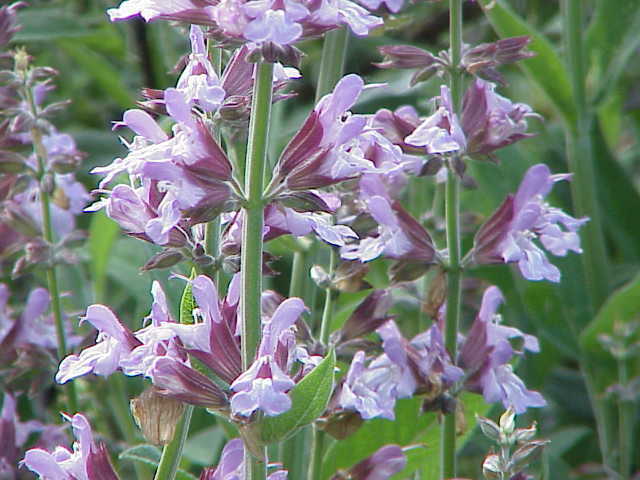 Common sage is grown for both its culinary properties and its excellent ornamental qualities, including it showy, profuse flowers. 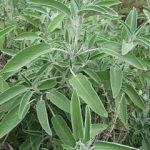 It’s a compact, many branched shrubby perennial, with evergreen strongly aromatic grey-green leaves that are used fresh or dried in cooking. 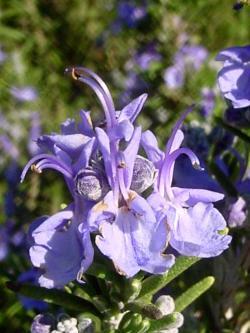 Whorls of two-lipped, lavender-blue flowers (to 1 inch long) in long, upright spikes appear in late spring. A natural for containers or small hedges. Very easy to grow, performing nicely in the garden and attracting butterflies, bees and hummingbirds. 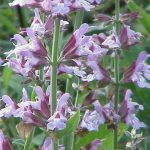 A standard in the herb garden, it’s also effective mixed with perennials in borders, cottage gardens, and in wild or naturalized plantings. Drought tolerant. 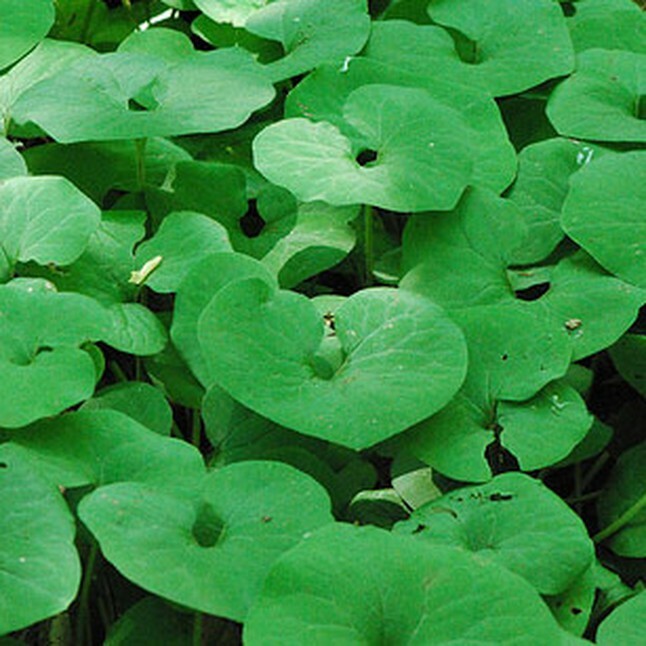 Leaves can also be used in potpourris. Highly aromatic and easy to grow! 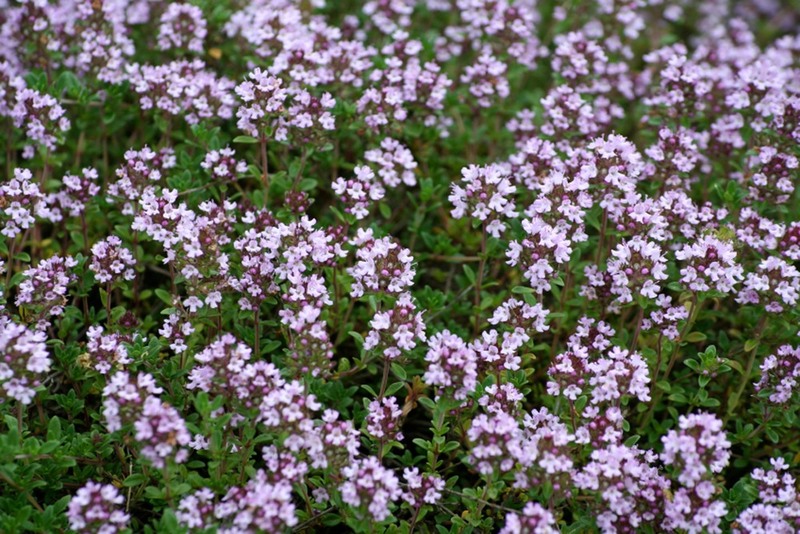 English thyme has larger leaves than other varieties, grows to about 1 foot tall, is fairly woody, and has a well rounded thyme flavor. 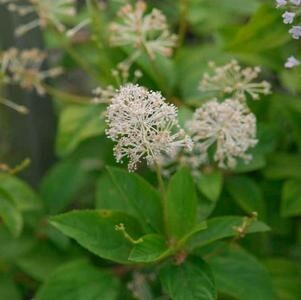 Whorls of tiny, tubular pink to lilac flowers appear on stem ends in late spring to early summer, and attract butterflies and other pollinators. Use for edging, ground cover, cooking, teas, potpourri. Perfect in rock gardens, rock walls, in between flagstones or simply planted in the garden. Tolerates moderate foot traffic. Drought tolerant once established. This attractive New England Wildflower Society selection is a standout in the shade garden, with delicate, lacy light green elliptic fronds and contrasting vibrant burgundy-red stems! A breathtaking flush of new fronds appears in the spring, with new leaves appearing throughout the season for a continuously fresh look. 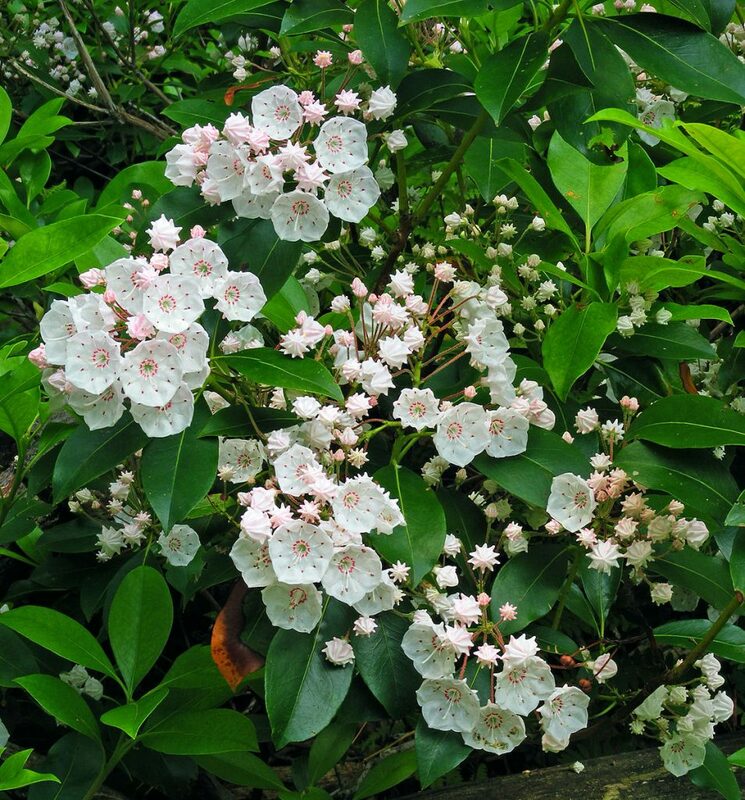 Hardy and easy to grow, with slow spreading habit (spreads about 3 feet in 5 years). Excellent choice for woodland gardens, shade gardens or shaded border fronts. Good for cutting for flower arrangements. 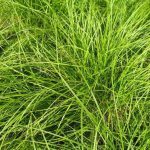 Switch grass is a versatile clump forming, ornamental whose foliage and flower panicles are highly prized for their summer and fall beauty. 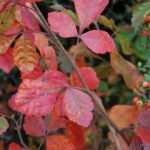 This cultivar is the brightest yet; blue-green foliage has red leaf tips in June, and rich burgundy color in fall topped with frothy pink plumes. Attracts birds. Makes an effective accent plant, which can be used alone or in a group. Drought and salt tolerant. Excellent shade ground cover! A low-growing grass-like perennial, 6-12 inches tall and 12-18 inches wide, with delicate, glossy green, arching foliage that turns tan-colored in the fall. 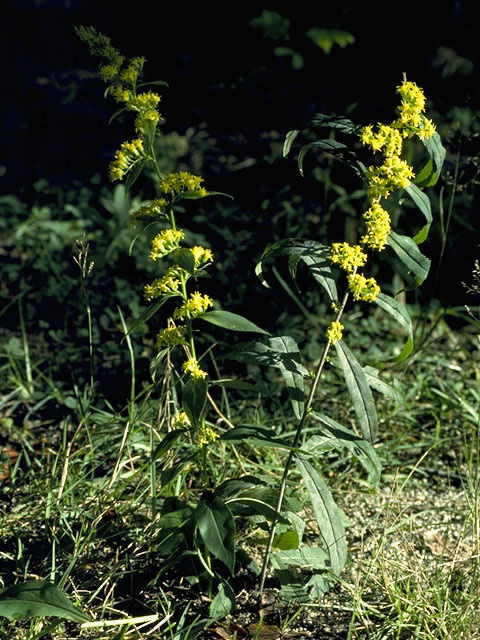 Flowering stalks rise above the foliage in late spring bearing yellow-brown flowers that from brown seed capsules, attractive to small songbirds. 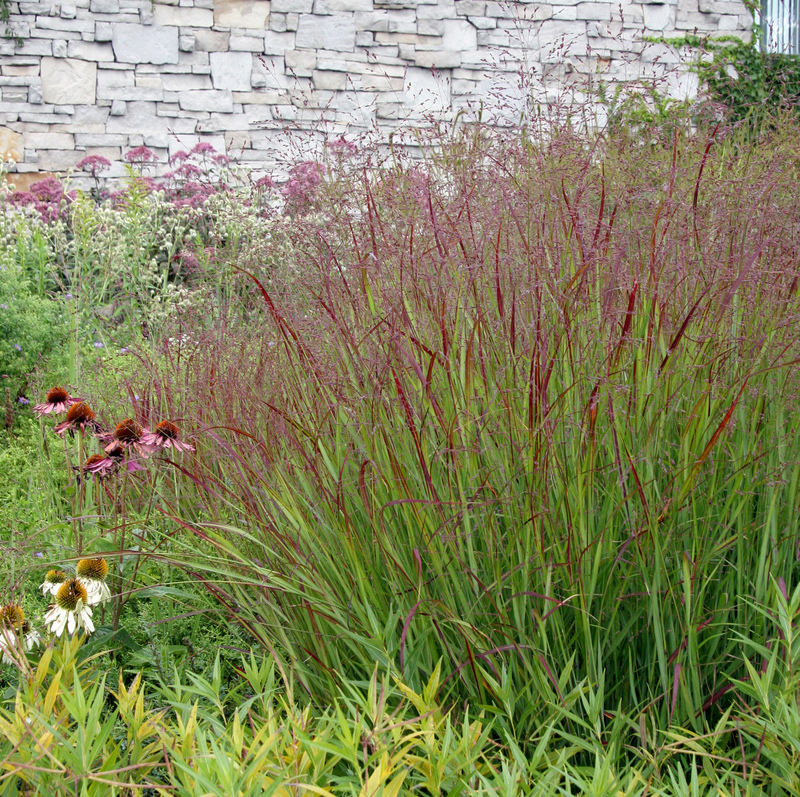 Fine texture and arching habit give it a soft appearance, which works well as an underplanting for shade perennials. 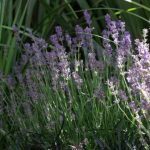 Spreads to form an appealing ground cover, and makes a great low maintenance shade lawn that never needs mowing or can be mowed 2-3 times per year to 2 inches tall. Mixes well with many other types of plants. 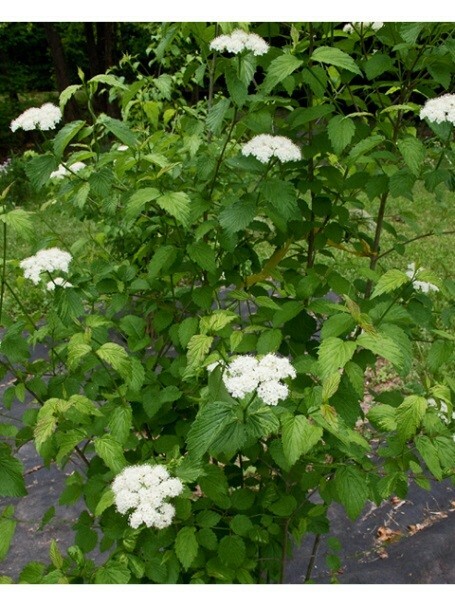 Grows well in the shade of oaks and maples. Good for naturalizing and rain gardens. 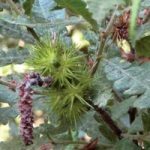 Provides excellent seasonal cover as well as a food source for small mammals. Deer resistant. 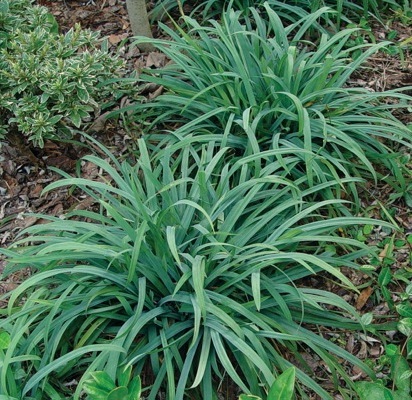 Low growing, evergreen sedge with stunning metallic blue-green grass-like foliage. Provides great contrast in the garden. 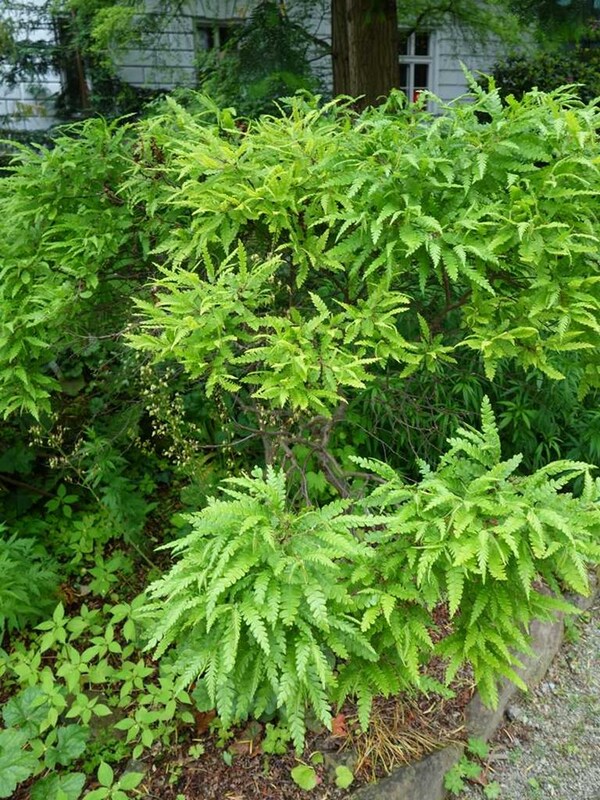 Use as a ground cover or specimen plant for moist, well-drained shady areas. 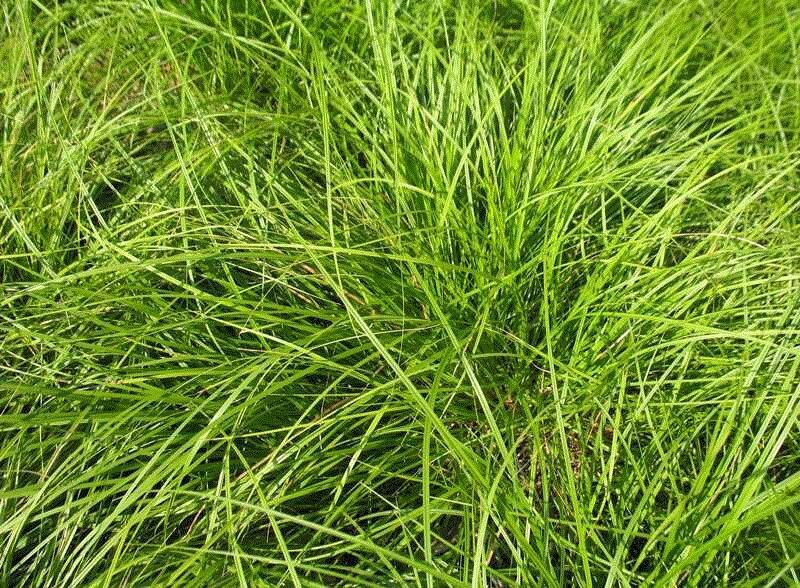 This versatile evergreen sedge works well along a border edge, in rock gardens, and for massing. 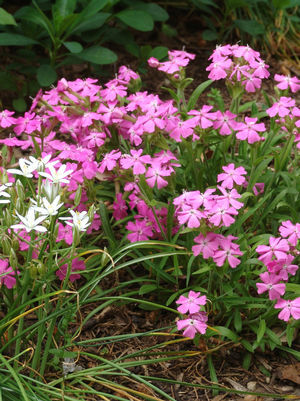 Grows 10-12 inches tall and spreads 12-15 inches wide, forming tidy clumps. Provides cover and food for small songbirds and other garden critters. Deer resistant. 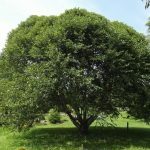 Large evergreen tree with natural conical shape. Mature size of 40-70 feet. Slow grower (approximately 12” per year). 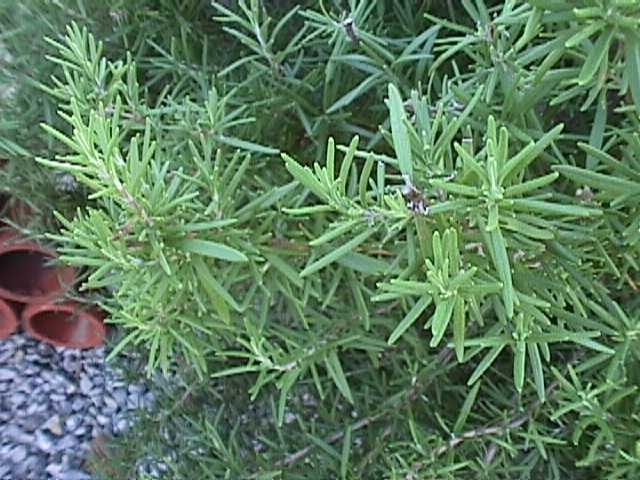 Short, soft, lustrous dark-green fragrant needles. Excellent Christmas tree, ornamental, or for screen or windbreak. Good for average to moist soils. 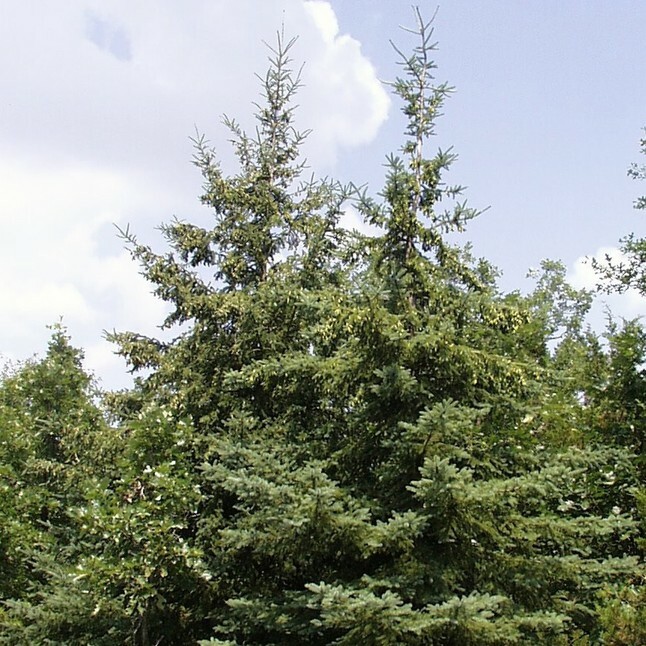 Native to CT. Balsam Fir is the most popular Christmas tree in the NE due to its good needle retention after cutting, and its classic evergreen aroma. Needles can be used to make scented oils, sachets, candles and other scented gifts! Pyramid-shape evergreen with flat needles. Gnarled fluted trunk and gray to red-brown bark of ornamental interest. Prickly foliage is browse resistant. 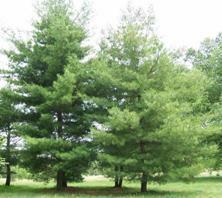 Good for specimen trees, masses, screens, windbreaks or hedges, and difficult sites. Attracts songbirds, butterflies, small mammals. Moderate to rapid growth. 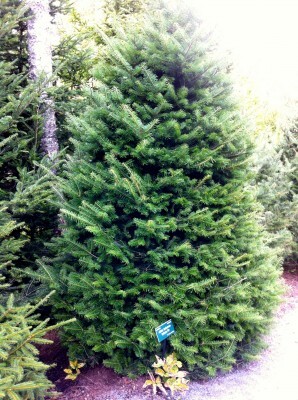 Evergreen with broad pyramid to dense column-like shape. Thin soft needles are light green with a bluish cast. Smooth gray to gray-green bark, becomes furrowed with age. Very versatile; use as an ornamental, Christmas tree or windbreak. Good specimen for parks or other large spaces. Easily transplanted and grown, but not tolerant of strong winds, salt, and vulnerable to ice/heavy snows. Rapid growth. 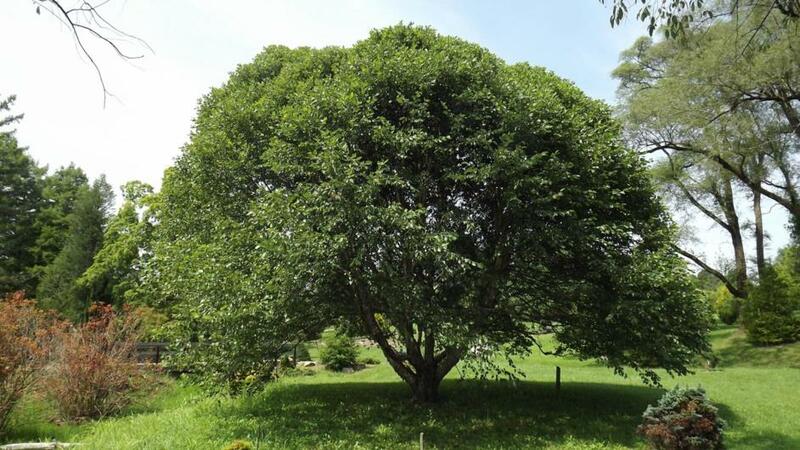 Very hardy compact tree with narrow, conical form. Needles are short, 4-sided stiff pointed blue-green needles. Good for Christmas trees or ornamentals; in windbreaks, screens, hedges, and mass plantings; and along the seashore, due to salt tolerance. Moderate to rapid growth. A favorite for all types of gardens with its vivid bright orange color, showy blooms, and ability to attract butterflies, bees and hummingbirds. Blooms July to August. Grows to 2 feet tall. Prefers sun to part shade, and dry to average soils. Easy to grow, and once established is tolerant of heat, humidity, cold, drought, and poor soil. 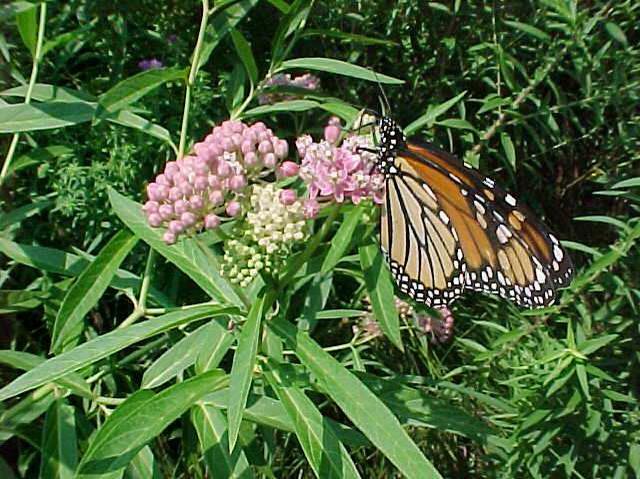 An excellent choice for butterfly gardens, meadows, or naturalized/native plant areas. Of special value to native bees and honey bees according to the Pollinator Program at The Xerces Society for Invertebrate Conservation. Landscape plugs, 2″ wide by 5″ deep, sold in quantity 5 or 10. Only in our webstore! Provides long summer bloom! 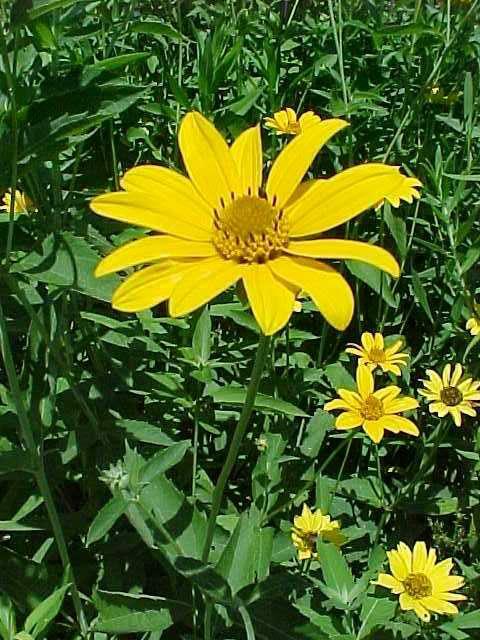 Showy flowers with orange-yellow rays and brown center disks bloom June to August. Attracts butterflies and hummingbirds. Good choice for the perennial border, cutting garden, or as part of a naturalized planting. Easily grown in average, dry to medium, well-drained soil in full sun. Tolerates drought, but does best if regularly watered. Tolerates a wide range of soils, including poor, infertile ones. Tolerates some light shade. 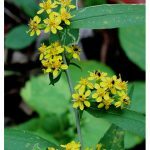 Grows to 3-6 feet tall and 2-4 wide. Makes a good cut flower. Very popular with pollinators, and underused in average garden conditions! One of the most beautiful native perennials willow-like leaves and fragrant clusters of upturned pink flowers in June and July. Attracts butterflies of all kinds, as well as other pollinators. Important larval host plant for Monarch butterflies. Of Special Value to Native Bees (recognized by pollination ecologists as attracting large numbers of native bees), according to the Pollinator Program at The Xerces Society for Invertebrate Conservation. 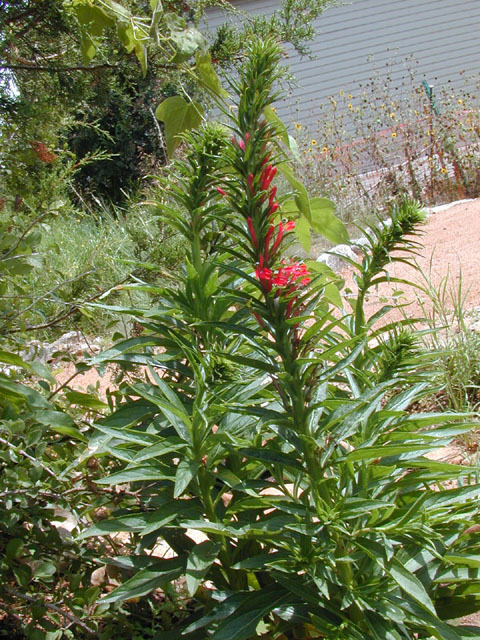 Grows to 3-5 feet high, and 2 feet wide. Prefers consistently moist soil, but also does well in average, well-drained gardens. Full sun is best, though some shade is tolerated. 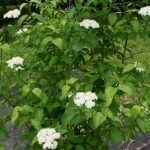 Good for naturalizing, in sunny borders, along stream/pond banks, butterfly gardens, and in rain gardens. A good plant for low spots or other moist areas in the landscape. Makes a good cut flower. Deer resistant. Excellent shade ground cover, among the first to bloom in late summer. 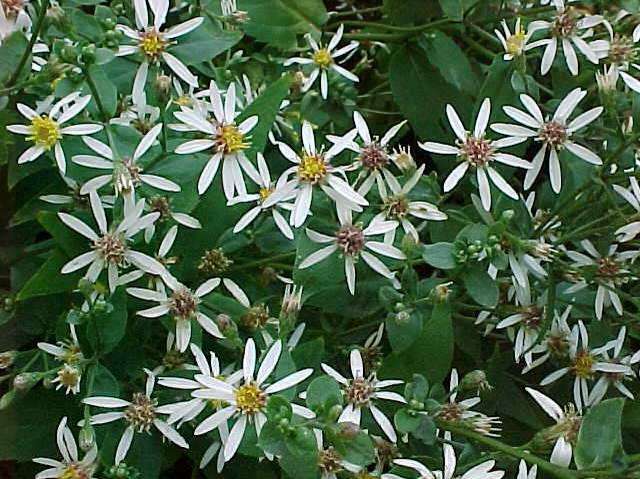 Small, white, daisy-like flowers with yellow centers that fade to red bloom bloom in flat-topped clusters on dark green to black stems. A vigorous grower and a favorite for attracting butterflies and wildlife. 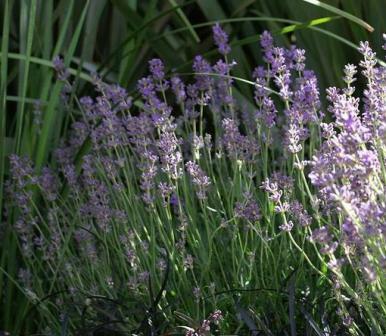 Does well in average, dry to medium, well-drained soil in part shade to full shade. Tolerates dry conditions, including drought. 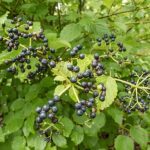 Good choice for woodland edges, open shade gardens, woodland areas, native plant gardens, and naturalizing. Grows to 2-3 feet tall and wide. Makes a good cut flower. Deer resistant. Produced locally!! 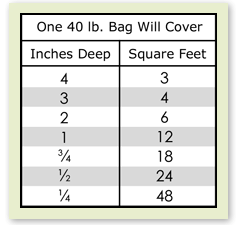 40 pound bags of premium quality soil amendment made from fully composted leaf and cow manure. The compost is odor free, and rich in organic matter, slow release nutrients, and beneficial microbes. Improves soil fertility, drainage, texture and moisture holding ability. 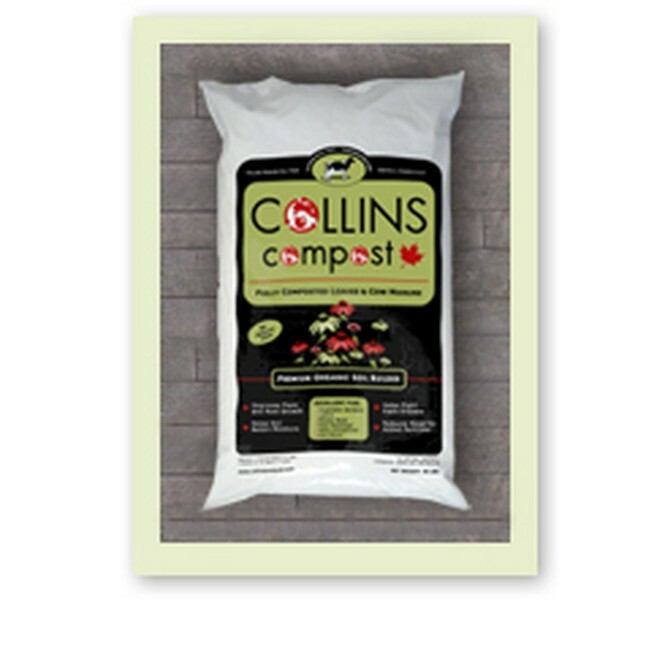 Additional benefits of using Collins Organic Compost include improved plant and root growth; prolonged release of nutrients to the soil; improved soil porosity and aeration; increased disease resistance; improved and stabilized soil pH; improved resistance to wind and water erosion; improved soil structure. The perfect soil builder for many uses, including residential gardens and lawns. Also approved for use in organic production. From Collins Powder Hill Farm in Enfield. 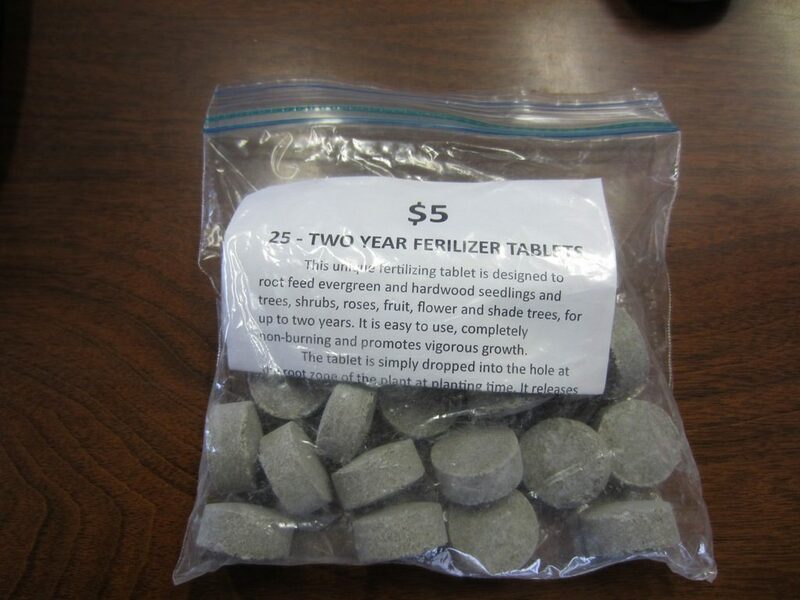 Slow release 2-year fertilizer tablets for root feeding evergreen and hardwood seedlings and trees, shrubs, and fruit, flower and shade trees. These long-lasting tablets are not water soluble, but depend on action of soil bacteria to convert nutrients into a plant usable form. Easy to use, completely non-burning and promotes vigorous growth. The tablet is simply dropped into the hole at the root zone of the plant at planting time (near, but not touching the roots). Tablets are 10 grams each, 20% Nitrogen, 10% Phosphoric Acid, 5% Potash. Get your lawn off drugs! 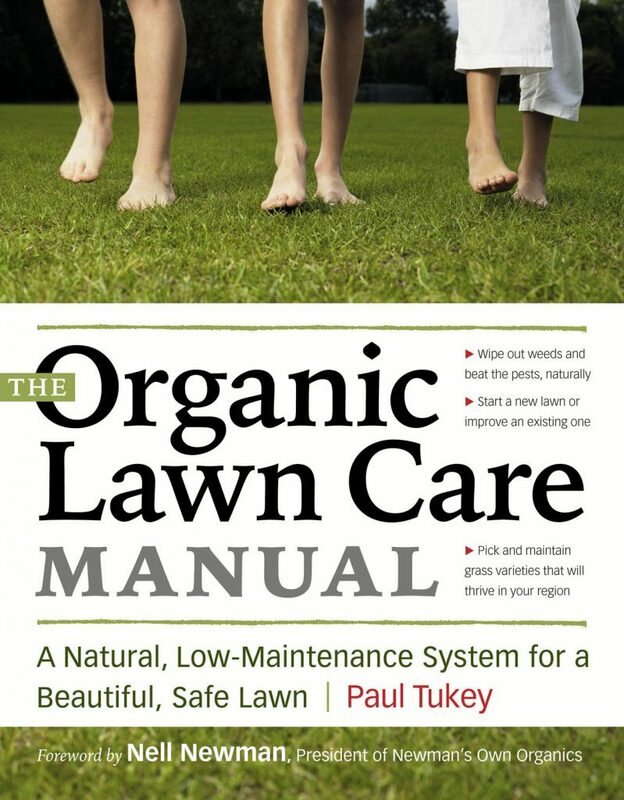 The Organic Lawn Care Manual by Paul Tukey is referred to as the most extensive guide to organic lawn care ever published. The book is full of practical tips to establish a lush, healthy green lawn, safe for people, pets and the planet, and a pleasure to read.